For those of you who were in Berlin 21st and 22nd of June the days have been simply geotastic. The campus of Beuth University of Applied Science hosted this time WhereCamp Berlin, GeoMonday and Pub Summit. Over 400 people had registered to connect the dots between Mapping, Innovation and Entrepreneurship. WhereCamp Berlin is a Location Barcamp which already took place the 3rd time. Several speakers gave great insides about what is hot in todays Mapping and Geo domain. If you want to get more information please visit http://wherecamp.de. In the evening our event started, finally. 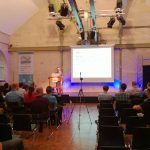 The venue Beuth Halle was a great environment for our 2nd session. This time 3D Buildings, Mobile & Desktop Maps, Personalized Search and Geo-referenced Data were the topics. More than 30 people in the audience followed these crisp presentations. The speakers had to answer several questions afterwards, e.g. technical details or about business models. 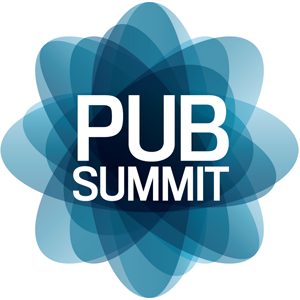 At 8pm we finished and moved gently over to our co-session the Berlin Pub Summit. Around 25 people from various Berlin based startups joined us lately. As a road show of the Dublin Web Summit this is a must see event. the founder of the event, Paddy Cosgrave himself and his wife joined us as well. 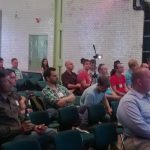 I was interesting to see how seamlessly the Geo community and the IT startup crowd got together and shared experiences. If you like the event or if you suggestions how to do better next times please write us to info@geomonday.org. We also looking for new topics for our next event. Please don’t hesitate and write to the same email address your proposals. Finally we wanna give some credits to all who made that event possible. A special thanks goes to the Beuth University of Applied Sciences for the free and fantastic venue.